Every year when the sun starts shining and the flowers are all in bloom, I get an itch to knit up something light and lacy. It’s a particularly odd compulsion, since, as a rule, I am neither light nor lacy. I’m usually dead practical and more a fan of cables and garter stitch than openwork. But, there it is. Who am I to judge the whims of the knitting gods? 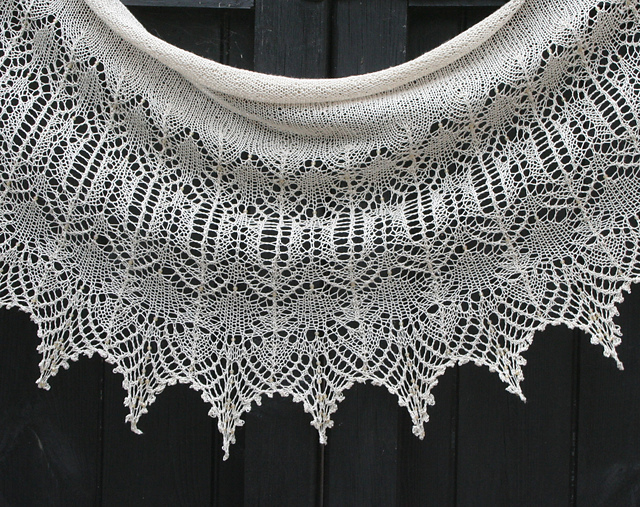 Let’s feed the lace-knitting monster, and take a look around Ravelry for some pretty lacy shawls. Indian Feathers by Alina Appasov features beads along the edge for extra drapiness and sparkle. 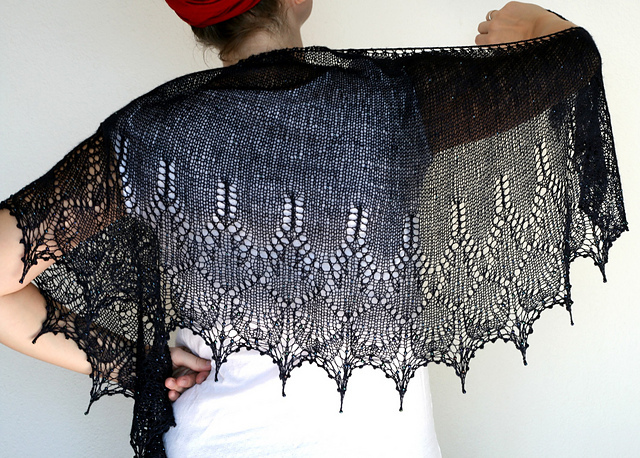 Annis by Susanna IC is an interestingly shaped shawl, that’s actually closer to a scarf. It’s a good mix between pretty lace-weight elegance, and the practicality of a scarf. 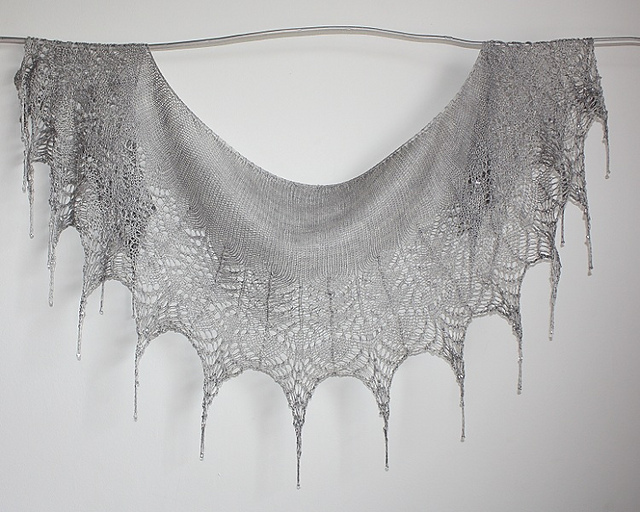 Swallowtail Shawl by Evelyn A. Clark is one of my favorite shawls. I’ve actually knit it up a couple times. 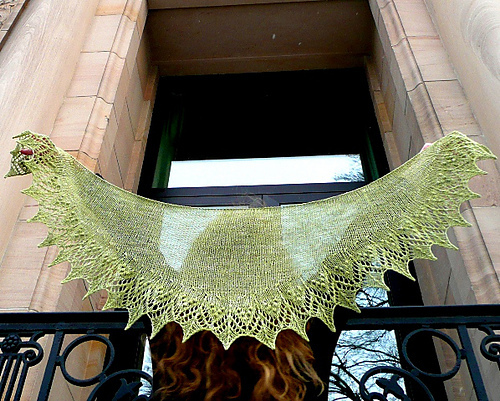 The all-over pattern in the body of the shawl is to die for, and the lily-of-the-valley motif on the edge is just gorgeous (and it includes nupps, which are my absolute favorite specialty stitch). This entry was posted in Inspiration and tagged annis, beads, indian feathers, lace, lace knitting, nupps, openwork, patterns, scarf, shawl, swallowtail shawl on May 5, 2014 by onemilljellybeans.